I've not been giving much consideration to Rock Band's new music releases, what with the franchise skipping a year and interest in the rhythm genre waning in general. It turns out all Harmonix had to do to get my attention was say Yes. Yes as in the British progressive rock group, not the affirmative response. Active on and off for more than 40 years, it's a band that's been with me my entire life. My brother used to play them in the pitch black darkness of my grandmother's attic when I was but a wee boy, and I remember being slightly frightened by the mystical quality of (former) lead singer Jon Anderson's voice. When I was ten they released the album 90125, with catch tracks like "Owner of a Lonely Heart" acting as a gateway deeper into their back catalog. This is a band that was not afraid to release an entire full-length album consisting of four songs, each clocking in at around 20 minutes. Rock Band 3 came with the classic "Roundabout" on the disc, the perfect song to introduce me to the third title's keyboard addition. I must have played it several dozen times. Now I am ready for more, and Harmonix delivers. 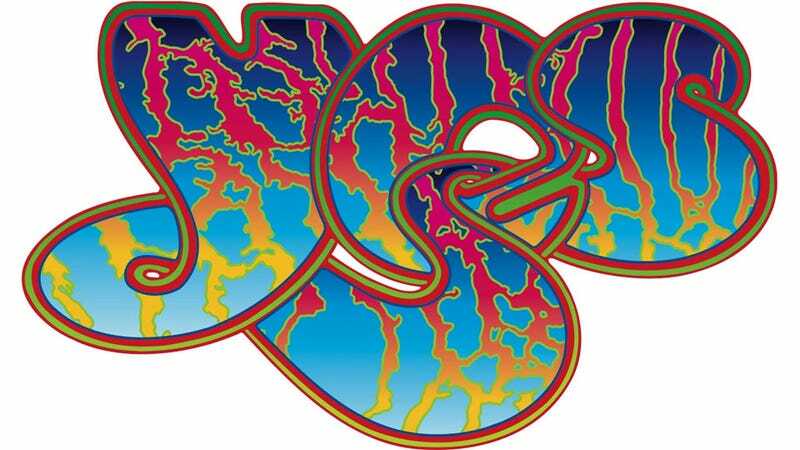 Yes Pack 01 features five tracks covering many facets of Yes' storied history, from winding musical journeys of "Heart of the Sunrise", "South Side of the Sky", and "Starship Trooper", to the straightforward songs non-fans have likely heard on the radio: "Owner of a Lonely Heart" and "I've Seen All Good People." The five tracks will be hitting the Rock Band Music Store on July 26 for $8.99, or roughly two dollars a track if purchased separately. Both "Owner of a Lonely Heart" and "I've Seen All Good People" will have pro guitar and bass add-ons available for an additional dollar. Now where did I put those damn instruments?